Shifting of remaining teeth – Your teeth might shift and weaken in order to make up for the extra space and work they’re having to do. Over time, not only will your smile change, but there could be other serious impacts to your dental and facial structure. Tooth loss – A few missing teeth could eventually lead to further tooth loss. You can’t afford to lose certain teeth because it could result in a misaligned bite. For example, back teeth are essential to chewing and a comfortable bite. Losing them will increase your chances of having a misaligned bite, which can cause headaches, facial pain, and tooth wear. A Charleston dentist can help you avoid these problems. Gum disease and tooth decay – Studies show that missing teeth often lead to an increased risk of gum disease and tooth decay. Your remaining teeth will end up collecting bacteria that was once spread out over more teeth. This is harmful because bacteria is a leading contributor to most dental issues. Make sure you’re visiting a dentist near you for routine dental cleanings. Heightened tooth sensitivity – With the exposure to more bacteria and plaque, your remaining teeth will become more sensitive. This means more frequent pain and discomfort. Bone loss and facial sagging – Teeth naturally add shape to our faces. They also enhance your bone structure. Missing teeth can result in areas of facial sagging, weakened facial bone, and even bone loss. 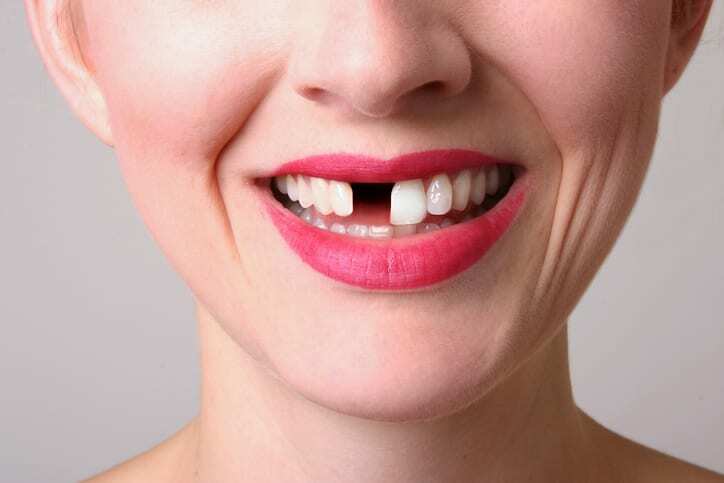 If you’re in need of a cosmetic dentist in Charleston, SC or James Island, SC to help you replace your missing teeth, call the office of Dale Probst, DMD right away. 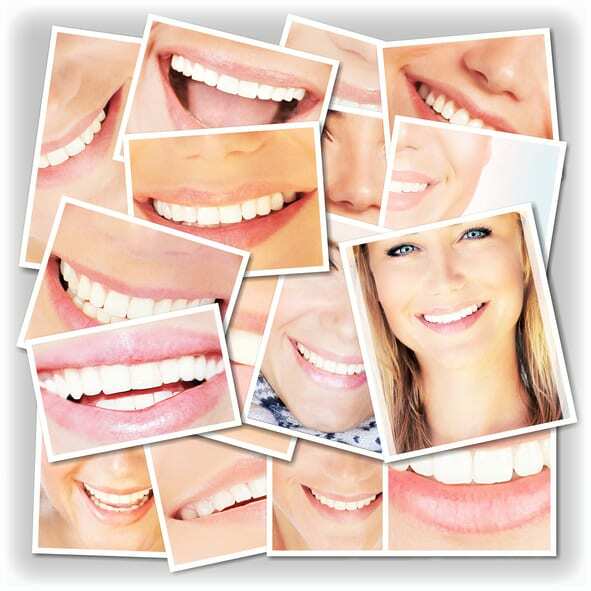 You can rely on us for convenient, comfortable general dentistry, family dentistry, and cosmetic dentistry services. Sedation dentistry helps patients feel more relaxed while in the dentist’s chair. Once sedation medications are administered, a patient’s fears about needles or pain simply go away. If any of the following issues apply to you, you may want to visit a Charleston dentist who offers sedation dentistry. Do you put off going to the dentist – or don’t go at all – because of your fears? Have you had problems at a dental visit before that make you not want to go back? Do you have trouble sitting still or getting comfortable in the dentist’s chair? Are you embarrassed by the way your teeth look? Do you have sensitive teeth or a strong gag reflex? Are you afraid of needles or the sound of a dentist’s drill? Do numbing shots just not work for you? Do you need lots of dental work but need to have the procedures finished in one visit? If you answered “yes” to any of these questions, consider sedation the next time you visit the dentist. When you call Dr. Probst about this service, he’ll talk to you about your reasons for wanting sedation and explain the process. He’ll also ask you about your general health. Then he’ll help you decide which type of sedation would be best for you. To learn more about sedation dentistry in James Island and Charleston, SC, call the office of Dale Probst, DMD. Request your free consultation for this or any of our other dental services today. If your tooth has suffered damage that’s beyond routine dental repairs, a dentist might suggest replacing the tooth with a dental implant. Dental implants are excellent substitutes for damaged teeth. 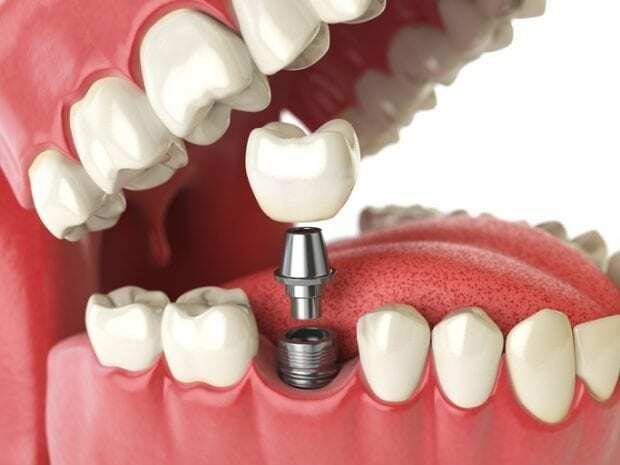 Unlike partial dentures and full dentures, dental implants have a natural look and feel – not to mention, they’re generally more secure than other options. Here are two different types of dental implants that the office of Dale Probst DMD, a James Island and Charleston, SC dentist, wants you to know about. Subperiosteal implants – With this type of implants, metal frames are secured onto your jawbone underneath your gum tissue. After the surgery, as your gums start healing, the metal frames attach to the jawbone. The posts that are attached to these frames will show through your gums and once they’re secured, the artificial teeth will be attached to the posts. Endosteal implants – These implants require two separate surgeries. In the first surgery, the implants will be placed inside your jawbone. The next surgery takes place after the gums have healed. At this time, posts will be put in place and the artificial tooth will be added. What do you need to receive these implants? In order to get either type of dental implant, you need to have good oral health overall. This includes moderately strong bone structure, as well as healthy gums. Getting these implants and caring for them afterwards requires dedication. You’ll also need to schedule routine dental check-ups. Do you want to see if you’re a good candidate for implant dentistry? Contact our office today. You can rely on our cosmetic dentist to give you a brilliant smile. Dale Probst, DMD serves James Island, North Charleston, Charleston, Summerville, and surrounding areas of the South Carolina Lowcountry. For some patients, having to have a dental procedure can be very unnerving. This often results in high levels of anxiety. In many cases, patients put off having the dental work they need due to their fears. Fortunately, there’s a new development that can help. 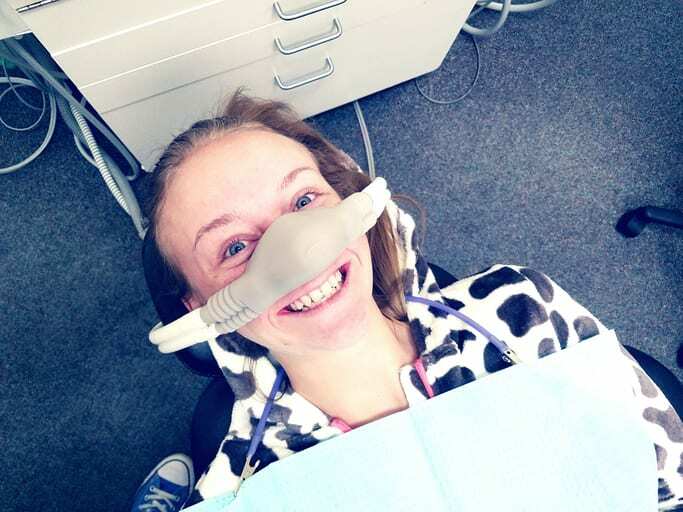 Sedation dentistry is designed to help people get the care they need without the stress. James Island dentist Dale Probst, DMD offers sedation dentistry in his Charleston, SC office. Here’s a basic overview of this service and how it can help you. 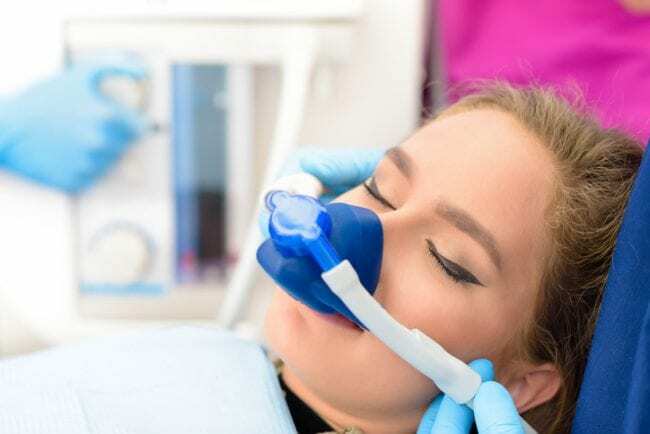 What is sedation dentistry? 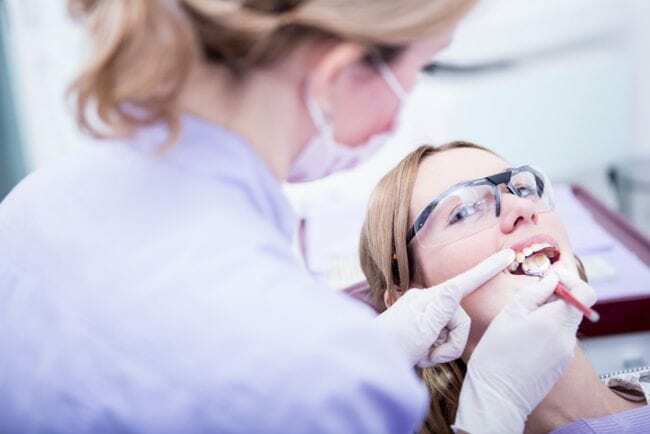 – Also known as “sleep dentistry,” sedation dentistry helps those who may struggle with staying calm during dental procedures by using medication to relax them. Most often, patients won’t be fully put to sleep by the medications, but instead will be sedated to a point that the procedure doesn’t cause stress or anxiety. Minimal – You’ll be awake during the procedure, but will be calm and at ease. Moderate – Stronger than minimal sedation, this option causes brief side effects, such as slurred speech. Deep – This level is the middle ground between being awake and asleep. General anesthesia – Patients are fully unconscious with this level of sedation. Which type will work best for me? – If you’re interested in sedation dentistry, talk to Dr. Probst. He’ll talk to you about your concerns, evaluate your overall health, and consider the type of procedure you need. If you’re a good candidate, he’ll recommend either nitrous oxide, oral conscious sedation, or IV sedation. Does this solution sound like the answer you’ve been looking for? Call our office to learn more about this or any of our dental services. Request your free consultation today from our experienced sedation dentist near you.